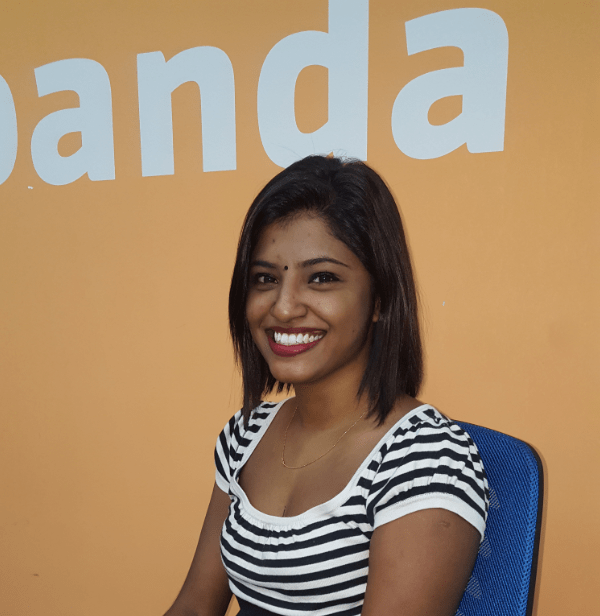 At foodpanda’s office, we are proud of our women. They are strong, vibrant, hardworking ladies who deserve accolades and applause for the work they do. We have three of our ladies here today to talk about their life as a woman and as a Panda! Firstly, we have Sabrina. She is foodpanda’s Customer Service Manager. She has worked here for almost two years, and she loves to keep herself occupied with things to do. – How is it to be a working female in Malaysia? I’ve never had any concerns working in Malaysia – I love working in Malaysia. It’s amazing for me, that in all 20 years of working, I’ve never felt any lesser of an employee in any company just because I’m a woman. – International Women’s Day (IWD) is today, how do you plan to celebrate this day? Never celebrated, never mattered. I’m a woman and everyday I feel like a woman. Since I need to answer this as womanly as possible, I would like the day off, with a fully sponsored pedicure, manicure and a massage session, then dinner by myself with champagne and strawberries. On a serious note, I will be working, so I would like to celebrate the women I work with. – What is the best thing about being a woman? The best things is that I get to be warm and sensitive, yet at times aggressive and stern. I get to nurture and also be the disciplinarian. It’s an edge and a privilege to be born as a woman- strong and free. 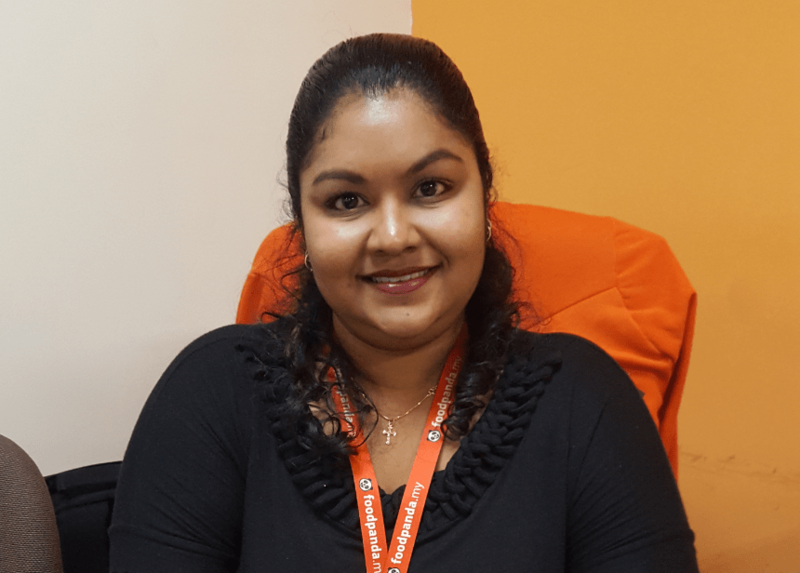 Kaamini is our Human Resource Manager, or as she likes to call herself, Miss HR. She has also been working here for almost 2 years, and she makes sure we all have the best work environment. – How is the work environment at foodpanda? We have a great environment and specifically a well maintained balance between work and leisure. The management trains the employee with proper guidance and the equality between men and women are strong. Employees are given great opportunity to expand their horizon both in work and as a person. – Why is it important to have both women and men in an office workplace? I believe both women and men have a distinct trait and personality that makes a great workplace. Having both women and men working together can lead to amazing outcomes. The more diverse, the better! – If you could be another woman for one day, who would you be? Meet Paola. 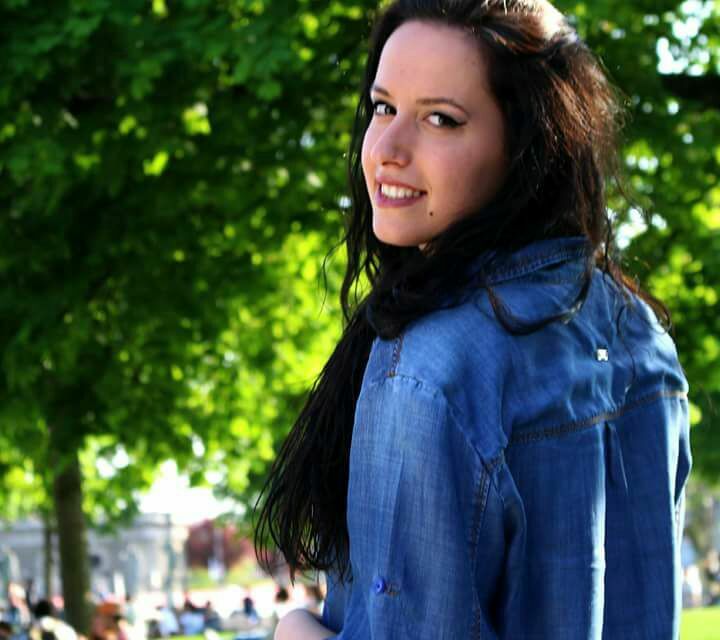 She has lived many places in world such as Italy and Albania, but she is currently an Operations Intern with us. – International Women’s Day is today, how do you plan to celebrate this day? To be honest I don’t think it is a day to celebrate. I think this is a day to be grateful for what we have achieved till now. It was hard work to get where we are now. Today we have the same possibilities as a man has. This is a perfect day for gender-focused action and to promote gender equality. – How will you be bolder in the working world to create a greater change for women? With IWD we have all eyes on us for a day, but we need to find the way to let them know we are there every day working for our rights and for our future. – If you could choose, which is the tougher job: being our panda mascot for a day or being our MD for a day? The mascot definitely! You have to be the perfect example of the company’s spirit to be a true mascot, as well as survive wearing a thick panda suit in Malaysian temperature!